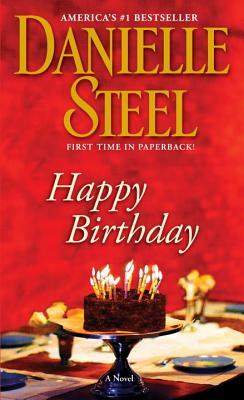 In this beguiling new novel, Danielle Steel tells the story of three very different people, each of whom, on the same day, reaches a crucial turning point in life -- a rite both bittersweet and full of hope, a time to blow out the candles, say goodbye to the past, and make a wish for the future. Valerie Wyatt is the queen of gracious living and the arbiter of taste. Since her long-ago divorce, she's worked hard to reach the pinnacle of her profession and to create a camera-ready life in her Fifth Avenue penthouse. So why is she so depressed? All the hours with her personal trainer, the careful work of New York's best hairdressers, cosmetic surgeons, and her own God-given bone structure and great looks can't fudge the truth or her lies about it: Valerie is turning sixty. Valerie's daughter, April, has no love life, no rest, and no prospect of that changing in the foreseeable future. Her popular one-of-a-kind restaurant in downtown New York, where she is chef and owner, consumes every ounce of her attention and energy. Ready or not, though, April's life is about to change, in a tumultuous transformation that begins the morning it hits her: She's thirty. And what does she have to show for it? A restaurant, no man, no kids. Jack Adams once threw a football like a guided missile. Twelve years after retiring from the NFL, he is the most charismatic sports analyst on TV, a man who has his pick of the most desirable twentysomething women. But after a particularly memorable Halloween party, Jack wakes up on his fiftieth birthday, his back thrown out of whack, feeling every year his age. A terrifying act of violence, an out-of-the-blue blessing, and two extremely unlikely love affairs soon turn lives inside out and upside down. In a novel brimming with warmth and insight, beginning on one birthday and ending on another, Valerie, April, and Jack discover that life itself can be a celebration -- and that its greatest gifts are always a surprise.